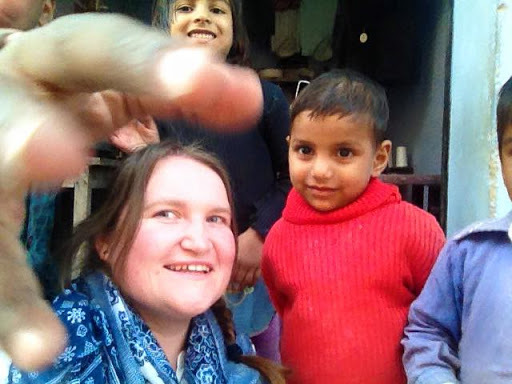 Rural Rajasthan – Where's Clair? When we think of India we think of large over-populated cities like Delhi, Mumbai, Kolkata and Chennai, but only 30% of the population of India live in urban cities. 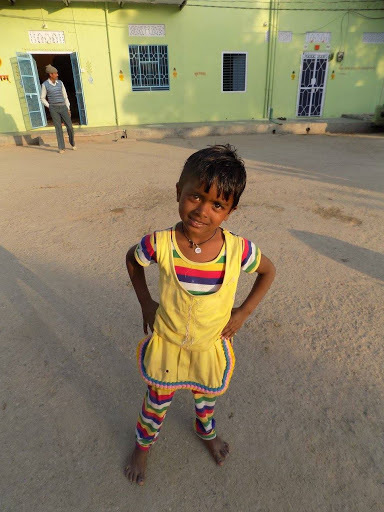 For the other 70%, home in one of the thousands of rural villages, is far different. So, in order to truly see the country, venturing outside the capital is a must! Tordi Sagar a small rural village in the state of Rajasthan was my third stop on my Indian adventure. I guess you wouldn’t exactly call Tordi a tourist hotspot. We arrived via dirt roads and through the Rajasthan countryside to this small and peaceful village. It was a massive relief from the crazy, loud and boisterous streets of Delhi and Jaipur. We didn’t exactly have much choice for accommodation, as we were staying in the only guest house in the town, but it was certainly nothing to be sniffed at. 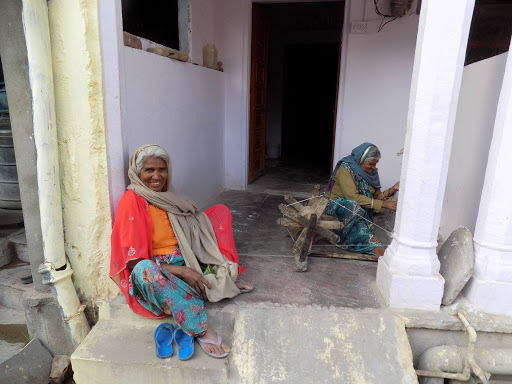 Tordi Garh is the exquisite home of the main landlord of Tordi Sagar and while it was a little rough around the edges and undergoing some renovations, it was more than comfortable. My room was more like a suite, complete with a small living area. There was plenty to explore around the building and beautiful views of the surrounding countryside. Walking around Tordi was incredible. Everyone just wanted to speak to us, to practice their English, to find out where we were from and to tell us about their village and families. The village was full of small cement houses, some painted in bright colours, and others not painted at all. Some of the houses had love heart paintings with dates painted on the front wall, which we learnt was the date of a family member’s marriage. We took the time to play with the children and take some photographs. One group of children decided to learn the art of the selfie on my phone, but this didn’t turn out too well! Teaching the kids how to take a selfie! Another man handed me his beautiful baby grandson, then gestured for me to take him with me! I’ll be honest, it was pretty tempting…. But I passed the baby back! The excitement of the children was infectious and I was overwhelmed by the warmth of the local people who simply wanted to show us how they live. 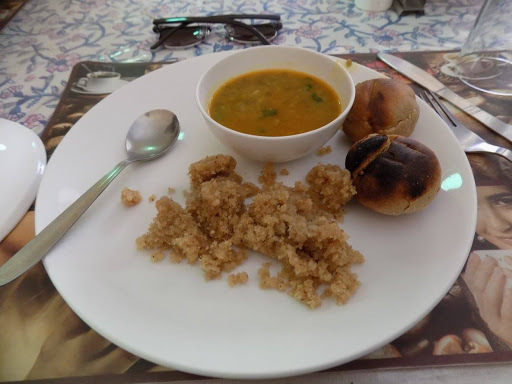 Back at our guest house we indulged in some traditional Rajasthani food which included a kind of lentil soup, with doughy bread and a sweet sugary mix on the side. It was an unusual dish, although not unpleasant, still too sweet even for me! After eating we left the guest house to take a camel cart ride out to the sand dunes nearby. This was a real experience. 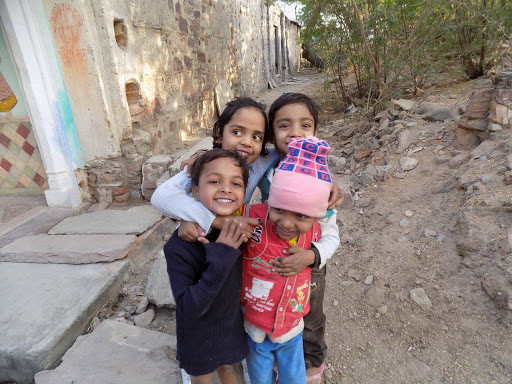 We boarded a flat cart and were transported slowly back through the village, where the children revved up again with excitement and began chasing us and waving. 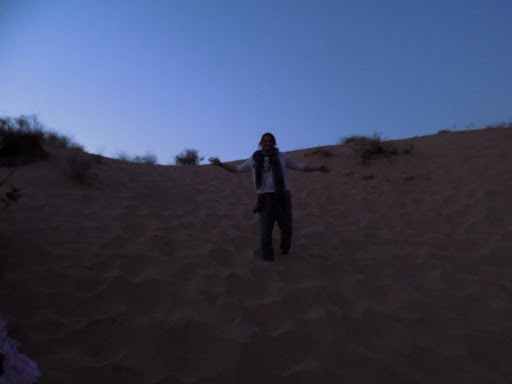 It was a bumpy ride and I was almost certain at one point that I was going to fall off, but I held on tight and made it to the foot of the dunes. We hiked up to the top, sweating and out of breath because the soft sand sucked our feet under providing little resistance! But it was worth it at the top. By now the sand had begun to cool and I took my shoes off to feel it between my toes. We cracked open a beer and waited patiently for the sun to set. Finally, the sun duly descended and turned a beautiful shade of orange, that seemed to leak out into the sky around it. As darkness eventually spread we could hear the sound of wild coyotes in the distance and it was time to head for home. Home, of course, meant the beautiful guest house and with one beer had, we had a taste for more. Following a mini party in my room involving myself, two Polish girls and two Austrian girls and a bottle of vodka, we took the party onto the rooftop terrace where we mingled with a group of young travels from Australia, England and New Zealand. There was a very surreal moment when I discovered that the kiwi girl knew an Irish friend of mine. Seriously, what are the odds? We drank into the early hours of the morning with concoction of vodka and Indian sweet lime soda. The next morning, with my fuzzy head, we headed for a tourist attraction that some of you may have seen before. The city of Abhaneri is now in ruins but still attracts visitors to its two main attractions, its signature stepwell and the Harshat Mata Temple. We visited the temple first, which lay in ruins after it was destroyed by Mahmud Ghazni, the Muslim ruler who disagreed with religious freedom. Many of the pillars and columns lie around the temple, but the art work still remains to be appreciated. 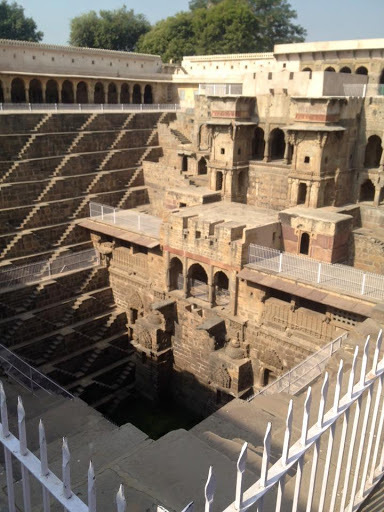 Just across from Harshat Mata lies Chand Baori , a stepwell dating back to between 800 AD and 900 AD. It was used primarily as a way to preserve water, but became a gathering place for the community, since the air at the bottom of the well remained much cooler during the hot summers. 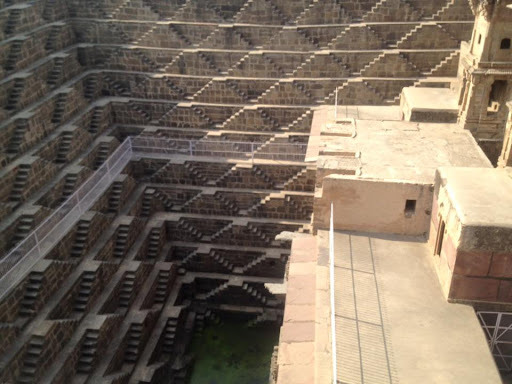 As I mentioned, you may have seen the well before as it has been featured in films such as Batman, The Dark Knight Rises and the Best Exotic Marigold Hotel. The thing that struck me the most about the stepwell, was the uniformity and the precision engineering, it is incredible to think that this was built 1200 years ago! We walked around learning about the Hindu Gods from the carvings on the walls and after a short time it was time to board the bus and take our final drive towards. It would then be time to leave the air conditioned coach and get down to some real public transport by taking the train! I was also incredibly excited because we were heading towards Agra, home of the TAJ MAHAL! I love Rajasthan. Dal bati jurma is one of the specialities of Rajasthan. I just love it. The people there offer it with such sweet smile and warmth. 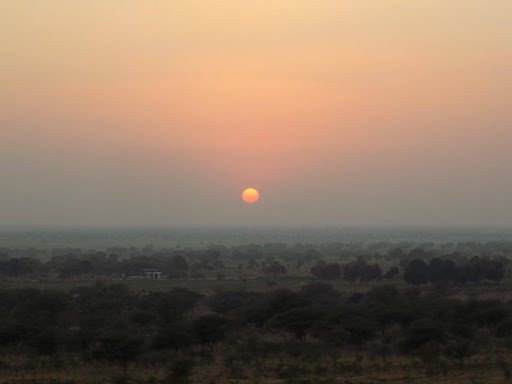 Its just Amazing… Last uear when I was in Rajasthan I went for night safari it was really awesome. Touring India must have been thrilling. I always dream of reaching India and see the beautiful Taj Mahal. Not aware though that aside from the famous Delhi, Mumbai, and Kolkata, there is this beautiful place called Tordi Sagar. Hopefully in three years time, I be able to see India's beauty, too. Sounds like the people in Tordi Sagar were very friendly. I enjoyed looking at the photos of these children asking for a photo and the fact that they are practicing their English. What was their favorite local dish there? The Harshat Mata Temple looks really awesome. Do they also have fees when you visit the ruins? What a contrast Tordi Sagar must have been witht the big cities. Somehow I could picture in my mind our rural areas in the Philippines where people tend to be shy and really nice. Unspoiled too and likely not to take advantage of tourists. And the chance of meeting a common friend from another country in another country… Incredible, isn't it and it is in itself quite an experince you will never forget. There are so many stairs!!! Sometimes, I wonder how our ancestors managed but when you look at the wonderful creations they left behind, you begin to understand they did well. The children look so happy though but it's sad that you've been told to not give them anything, just like in the Philippines. Wow! I can just imagine the warmth you spread during your visit, and I'm sure they were able to show their honest ways of life. 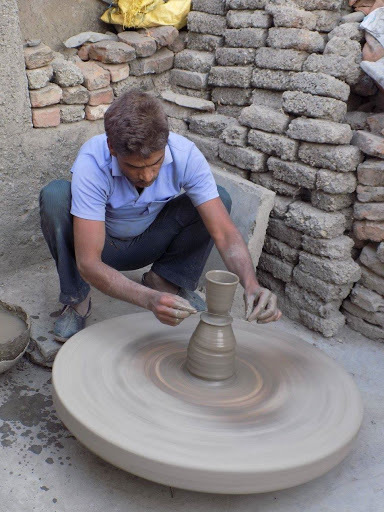 I never really did imagine India to be “touristy”, but I have Indian friends and if the people there are anything like them, I would love to visit and learn about how they do things. Something's nagging at the back of my mind about the man who handed you his grandson. It's quite endearing but a little… I don't know how to describe it. But anyway, hope you had fun and enjoyed the local food! It is nice to know a different perspective on viewing India. Those pillars are structured beautifully. And how cute those kids who just wants pictures! 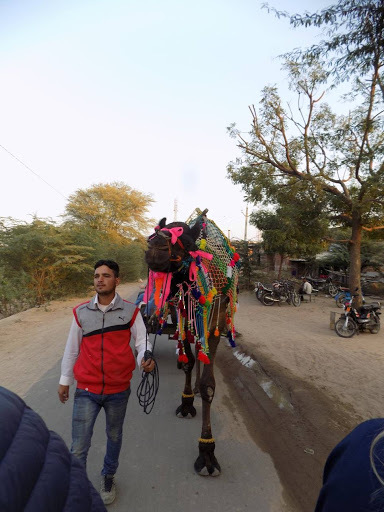 Rajasthan is one of a kind place! Which tour company did you chose to see India with? I wish I would have had the chance to see some of the small villages when I was there too, and interact more with the people. How amazing that must have been! Meeting and engaging with the locals whenever I travel is the best part of my travel. Just like you mate, I also love exploring the off beaten path and immerse myself into the local culture just like from my own country, the Philippines. The foods looks very interesting, I wonder what other local delicacy you could recommend to worth trying on?